Vegetables should be the foundation of almost every meal, I love this very low carb, full fat (and filling!) breakfast smoothie. There are hundreds of reasons to be incorporating vegetables at EVERY meal, not just dinner. One thing we tend to do is focus on grains, fruits and other carb heavy meals to start our day. I highly recommend that you replace these items and you give your day a great jump start with something not only filling and nutrient dense, but something that will not create the blood sugar spike that so many conventional breakfast foods do. Bagels, toast, pancakes and pop-tarts are NOT what our bodies were designed to ingest upon first waking. For anyone that is focused on a ketogenic diet, this is a great smoothie to start your day. Lots of fiber, filling fat (you could even add some MCT coconut oil here to have even more fat) and plenty of nutrients. The vanilla bean pod is the secret ingredient that gives this smoothie that extra bit of flavor, and you can never go wrong with fresh mint leaves. However, if you don’t happen to have fresh mint leaves handy in your kitchen arsenal (not many of us do) then you can always go with a tiny bit of mint extract (trust me, less is more, I learned this the hard way). I recommend lightly cooking the spinach or kale first for better nutrient absorption – and a fun little hack is to save the water it was cooked in and add it to the smoothie, as there are nutrients in the water. Always want to get the most nutrients for the smallest amount of work! 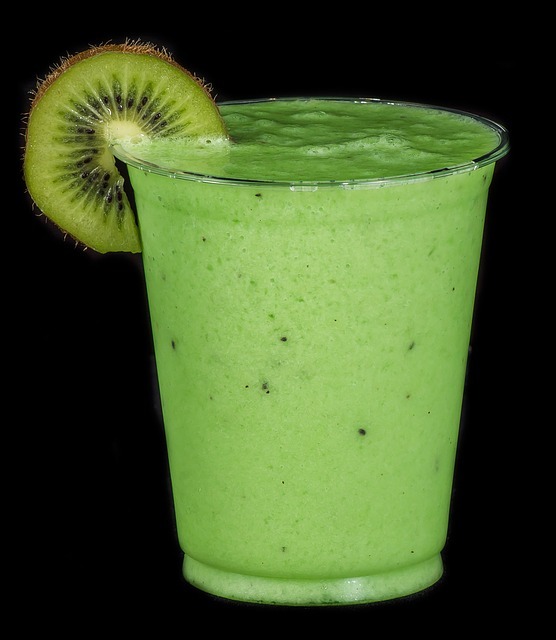 This entry was posted in Recipes and tagged full fat, green smoothie, ketogenic, low carb. Bookmark the permalink.